This is awesome – we hear from the John Kelly’s Washington column at the Washington Post about Wayan Vota and his dog Taxi, fellow orphan poo activists! His bag of orphan poo was pretty heavy. Ha ha ha check out the video! 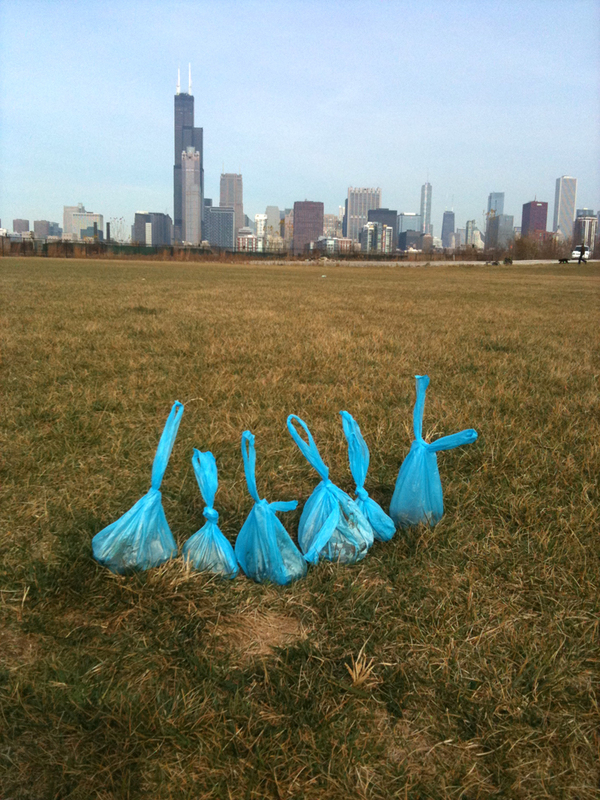 This is similar to what some of our park Poo Angels have reported in Chicago (e.g. at Grant Bark Park), too – when you start picking it all up, you end up with a lot of poo in the bag! Nobody pays attention to this, of course. We’ve tried suggesting that they post a record – “bags of orphan poo collected today” – at the entrance to the park. Maybe we could get a small scale, and make it a game: How big (or tiny) is your pup’s poop? Who’s got the biggest poo today?